warh.u guys born on same month lah. What a great post. Enjoy the weekend. hey just found your blog! amazing layout and amazing pictures! good philosophy as well!!! we are followers now!!!! keep in touch? Happy B-day! These pix and video are sweet! wow, artikel ny berguna bgt nih sob.. cocok bgt bwt mnmbh wawasan ku seputar tema ini..
hey, i'm a new follower. 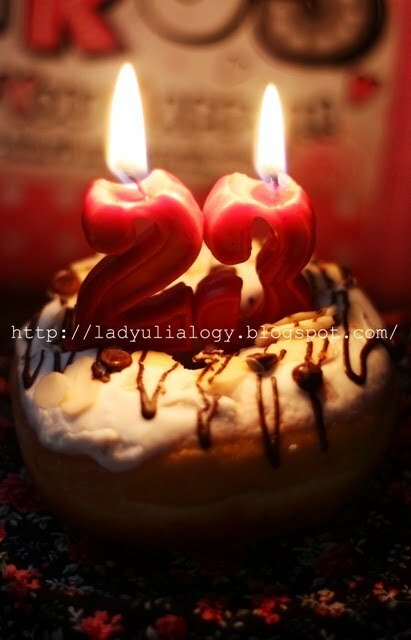 extend my birthday greetings :D cool blog. come check mine out and dont forget to subscribe/follow to me as well, if you like it! Awwwww, that is SO sweet! I haven't had brekkie yet, but the first picture got me drooling bad!!! Thanks for visiting my blog angel. happy birthday to your bf!